How can greedy meshes be texture mapped? 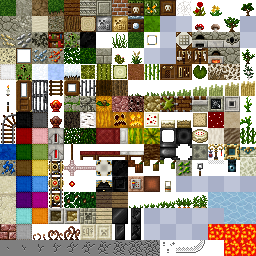 One naive solution might be to create a separate texture for each block type, and then do a separate pass for each of these textures. However, this would require a number of state changes proportional to O(number of chunks * number of textures). In a world with hundreds of textures and thousands of chunks, this would be utterly unacceptable from a performance standpoint. Instead, a better solution is to use a technique called texture atlases. 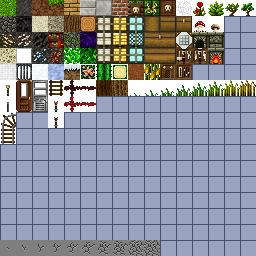 An example of a texture atlas for Minecraft. (c) 2013 rhodox. Easy way: If your target platform supports array textures or some similar extension, then just use those, set the appropriate flags for wrapping and you are good to go! Hard way: If this isn’t an option, then you have to do wrapping and filtering manually. Obviously the easy way is preferable if it is available. Unfortunately, this isn’t the case for many important platforms like WebGL or iOS, and so if you are writing for one of those platforms then you may have to resort to an unfortunately more complicated solution (which is the subject of this blog post). Here the normal and position attributes represent the face normal and position of each vertex. tileOffset is the offset of the block’s texture in the atlas and tileSize is the size of a single texture in the atlas. For simplicity I am assuming that all tiles are square for the moment (which is the case in Minecraft anyway). Taking the fract() causes the texture coordinates (called texCoord here) to loop around. Using an automatic mipmap generator like glGenerateMipmaps will cause blurring across texture atlas boundaries, creating visible texture seams at a distance. At the edge of a looped texture the LOD calculation will be off, and causing the GPU to use a much lower resolution mip level than it should. Left: Per-tile mipmap with wrapping. 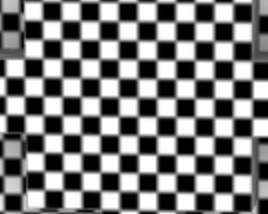 Right: Naive full texture mipmap. If you click and zoom in on those mipmaps, it is pretty easy to see that the ones on the left side have fewer ringing artefacts and suffer bleeding across tiles, while the images on the right are smeared out a bit. Storing the higher mip levels is not strictly necessary, and in vanilla OpenGL we could use the GL_TEXTURE_MAX_LEVEL flag to avoid wasting this extra memory. Unfortunately on WebGL/OpenGL ES this option isn’t available and so a storing a mipmap for a texture atlas can cost up to twice as much memory as would be required otherwise. 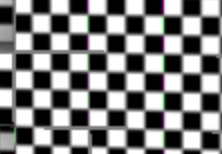 Texture tiling seams caused by incorrect LOD selection. Note the grey bars between each texture. Texture access near a tile boundary. Note how the samples are wrapped. The GPU basically sees this access pattern, and think: “Gosh! Those texels are pretty far apart, so I better use the top most mip level.” The result is that you will get the average color for the entire tile instead of a sample at the appropriate mip level. (Which is why the bands look grey in this case). The 4-tap algorithm illustrated. Instead of sampling a single periodic texture once, we sample it 4 times and take a weighted combination of the result. The basic idea behind this technique is a generalized form of the pigeon hole principle. 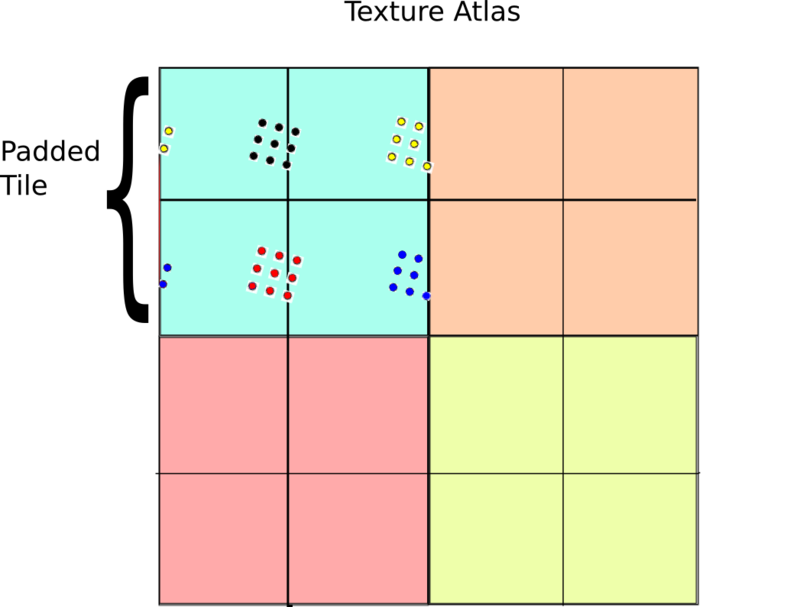 If the size of the sample block is less than the size of the tile, then at least one of the four sample regions is completely contained inside the 2×2 tile grid. On the other hand, if the samples are spread apart so far that they wrap around in any configuration, then they must be larger than a tile and so selecting the highest mip level is the right thing to do anyway. 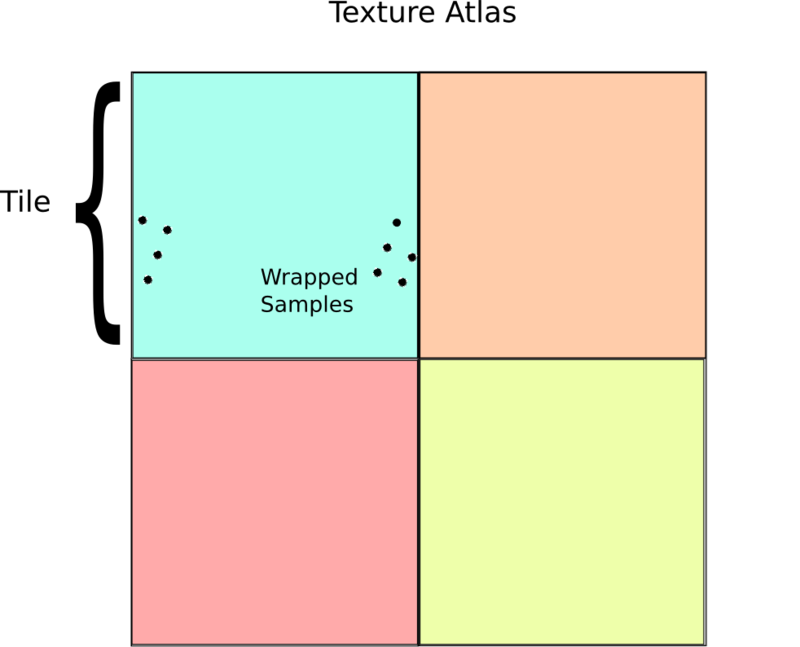 As a result, there is always one set of samples that is drawn from the correct mip level. In conclusion, greedy meshing is a viable strategy for rendering Minecraft like worlds, even with texture mapping. One way to think about greedy meshing from this perspective is that it is a trade off between memory and vertex shader and fragment shader memory. Greedy meshing drastically reduces the number of vertices in a mesh that need to be processed by merging faces, but requires the extra complexity of the 4-tap trick to render. This results in lower vertex counts and vertex shader work, while doing 4x more texture reads and storing 4x more texture memory. As a result, the main performance benefits are most important when rendering very large terrains (where vertex memory is the main bottleneck). Of course all of this is moot if you are using a system that supports texture arrays anyway, since those completely remove all of the additional fragment shader costs associated with greedy meshing. Another slight catch to the 4-tap algorithm is that it can be difficult to implement on top of an existing rendering engine (like three.js for example) since it requires modifying some fairly low level details regarding mipmap generation and texture access. In general, unless your rendering engine is designed with some awareness of texture atlases it will be difficult to take advantage of geometry reducing optimizations like greedy meshing and it may be necessary to use extra state changes or generate more polygons to render the same scene (resulting in lower performance). … which motivated my decision to use array textures instead. By the way, looks like the demo’s AO flipping flips the wrong quads — I suspect maybe the “winding order” of your AO values is inverted when you extract a00, a01, a11 and a10, but I didn’t test to make sure that was the issue. Good catch! When I was rebuilding the bundle for the demo I accidentally used the wrong version of the mesher. It should be fixed now. One problem I had when messing around with this stuff is when you have two adjacent cubes with different textures; how do you make the most optimal mesh in that case? The only thing I could come up with is including the texture ID in the greedy merge function, is there a smarter way to do it though? thank’s for that nice article. I’ve tried to implement the texture atlas as you described, but for the live of me, i can’t seem to get it working. I’ve checked the normals, they look fine. I think it is because you are using the position values in clip coordinates. Try using the position values as read directly from the attribute and make sure your vertex positions are at unit intervals. since i was not able to implent it, could you maybe extend your jme-sample using texture coordinates? Or any other idea? thank’s for the *very* quick answer :). I’ve allready tried the inPosition with no luck. I’am not sure if i understand the position unit’s though. I have a chunk size of 32*32*32 blocks, so my unit would be 1 i guess. The vertex position’s are calculated by your greedy mesh function you explained in another article. Hope it’s ok to reply to myself, don’t want to spam your blog :). I’ve figured that my tileUV is always 0. I wonder how that comes? I have the feel that my normals are not “correct” for that method (they look ok with the showNormals shader from jme). your post is amazing. i study your post and i have question. and update another rectangle uv. it update cost is so high. please give me the advise. and am i check 6 face in shader code? You can compute the uv coordinates using the surface normal and the xyz position of each vertex, so there is no reason to store them separately. Thanks for sharing your code! I have used your code and it worked really good, the only thing I get are black, clamped spots at the corners of the texture, they disappear when I do without the abs() part of your code. Do you know how I can fix that? I use predefined texture coordinates that I applied in max, they are not calculated generic. Great, it works. I just had a typo, instead of float2(dx,dx) it should be float2(dx,dy). Thank you much for sharing this!